Posted on December 21, 2011, 6:49 pm, by admin, under Beauty Product Reviews. Kale is a member of the brassica family along with: cabbage, broccoli, cauliflower, brussels sprouts, arugula, rutabaga, radish and mustard. 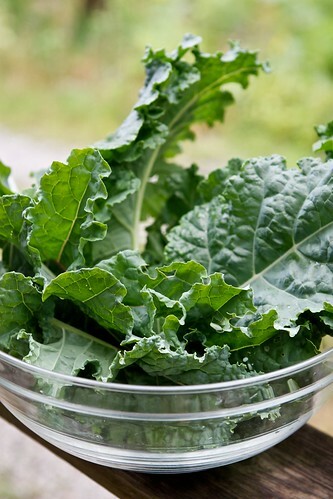 Along with other brassicas, kale is a powerhouse vegetable. It provides more nutritional value per calorie than almost any other food around. It contains over 45 different flavanoids, vitamins A, K, C, magnesium, copper, calcium, vitamin B6, potassium, and many more. It also contains antioxidant and anti-inflammatory nutrients, macronutrients, and cancer-preventive nutrients called glucosinolates. 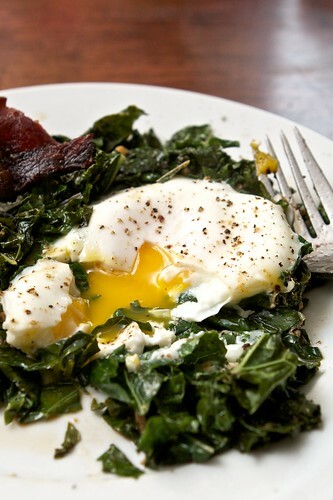 Cooked kale is healthier than raw kale, so it’s important to cook it lightly and with some fat to make the vitamins more available and more easily absorbed. 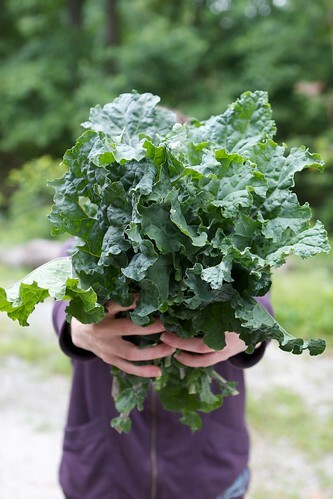 Here’s a great article on the health benefits of kale if you’d like to learn more. Kale is also easy to grow in the garden, especially here in NE Ohio where our summers can be fickle and can easily cause broccoli and cauliflower to bolt before them produce heads. Kale seems not to mind the warm weather, although it’s flavor is mellowed by frost and cool weather. Kale overwinters beautifully without any protection at all. I have had Red Russian kale growing in my front flowerbed for the past three years. It survives the winter, flowers in spring, seeds itself down and I have a nice crop for harvesting throughout fall, winter and spring. « Reviews on an Estee Lauder Skin Product?